Most user accounts were created by an administrator. They assigned a password for your account. It may or may not be something that is easy for you to remember. You have the ability to change your password to whatever you like. You should make sure that your password is in compliance with your organizations password policy for password strength, length, and use of alpha and non-alphanumeric characters. Select the person icon next to your name in the main navigation bar at the top center of the screen. You will be taken to a screen with your account information that should look like the screen below. 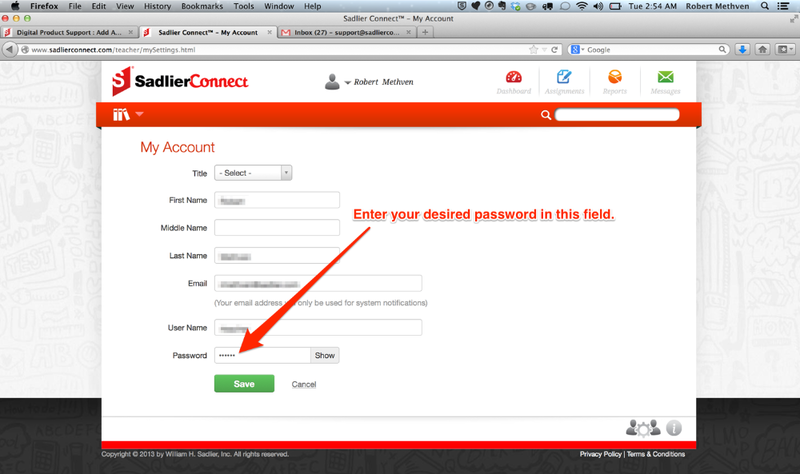 Find the password entry field and enter your desired password in the field provided. 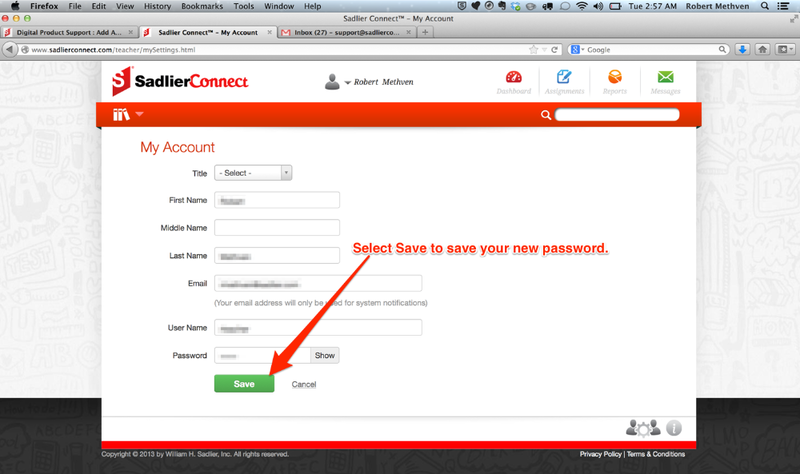 Select Save after you have entered your new password to save this information to your account. 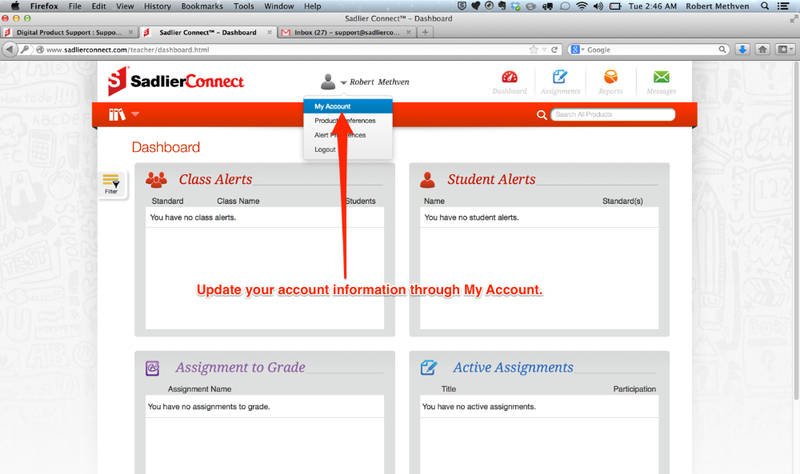 The next time you log in to Sadlier Connect™ you will need to use your new password to access the system.